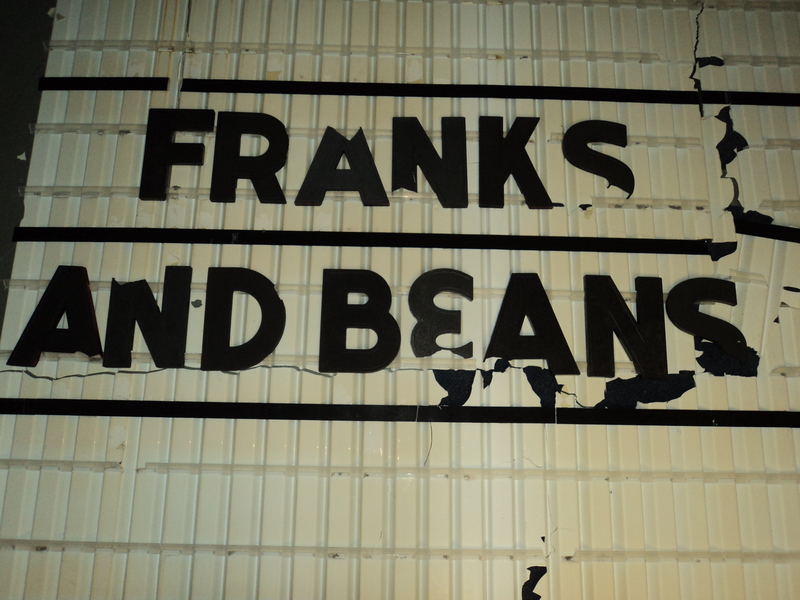 You know who loves the original Franks and Beans logo? We all do. It’s simple, the lighting is great, the poses are right and it reminds me of a time when I used to have that watch, that shirt and that hair. 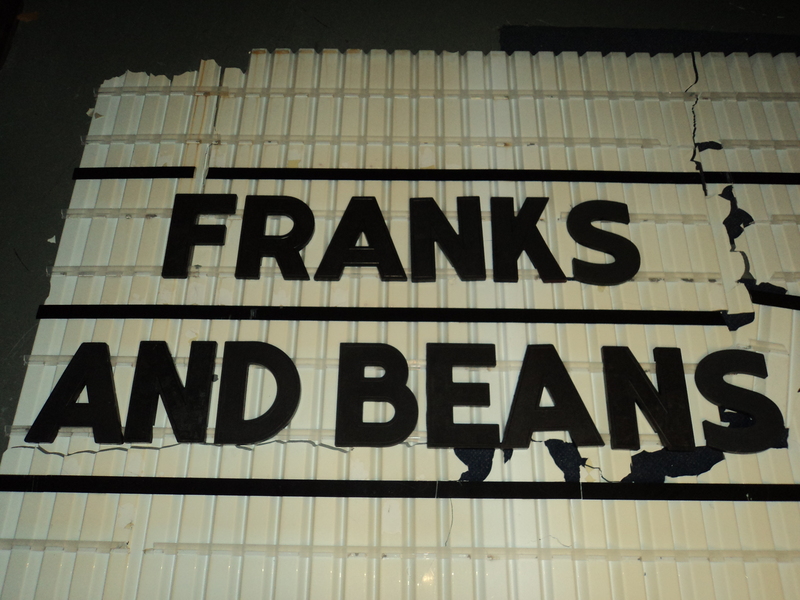 We have been running with it for over three years now, though, and I thought it was time for a change, or at least partly, as I’ll still use that original image until I die, at which point it’ll be posted up at my funeral, where people will go “what’s Franks and Beans?”, watch some episodes, and then lament even further over my tragic demise. Speaking of my demise, I work at a movie theater. My other job (when I have it) is much more suitable for discussion, but this information is more pertinent to this process. The theater in question is falling apart both figuratively and literally; the latest pieces to crumble: dignity and half a marquee sign, respectively. 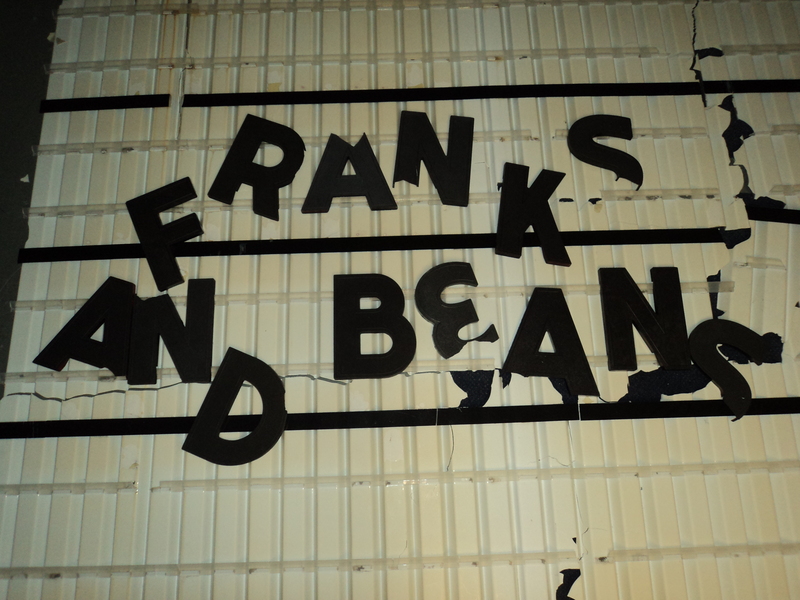 Taking a cue for a friend at this theater, I decided to grab some letters and write “Franks and Beans” as if it were actually up for all to view. Aaaaaaand after seeing final images, I went with the original edition which I think is a bit nicer. The masthead area on this WordPress page squeezes images a bit and crops the top and bottom; at first I didn’t think I’d like it, but it ended up giving it an artsy look that I’ll probably end up just taking credit for down the line somewhere. If I do, please feel free to point me back to this post and put me in my place.